Do you have some people in your life with whom it’s difficult to have a meaningful conversation? Have you noticed that telling them everything you think they need to know and do, does not usually lead to life change or deeper relationships? One of the ways we can powerfully connect with others is to listen deeply. Listen with your eyes. Be fully engaged, undistracted. Listening with “caring eyes” helps to develop conversations that liberate and motivate. This kind of listening is an act of unselfish love. Instead of telling your advice, you are connecting to someone’s heart. Instead of trying to fix someone, you are giving a gift of respect and honor to an important person. Be more aware of opportunities to connect. Learn how to begin the conversation. Avoid responses that close the connection. Ask questions that lead to liberating insights. 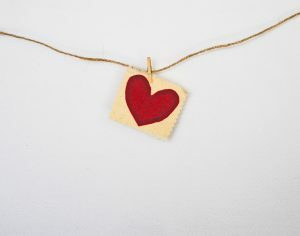 To tap into the desired motivation to avoid responses that close the connection, visualize the value of an open-hearted, authentic conversation with someone you love deeply and with whom you desire to connect. Ultimately, if you sincerely desire those “connect to the heart conversations,” liberating listening is the gift that keeps on giving.